Students in the Houston Independent School District are graduating at a higher rate for the fourth straight year, thanks in part to better tracking and online make-up courses, Superintendent Terry Grier said Monday. The district reported a graduation rate of 78.5 percent for the Class of 2011, up 4 percentage points from the prior year and 14 points from 2007. Grier attributed the improved graduation numbers partly to school committees that meet weekly to track students who drop out – visiting their homes in some cases – or are at risk of dropping out. He also said his “grad lab” program, which allows students to recover credits at a quicker pace through online courses, has helped. HISD graduated more than 9,000 students last year, up from nearly 7,000 four years ago. The number of dropouts fell to 1,364, from nearly 2,400 in 2007. Grier has made raising the graduation rate and lowering the dropout rate centerpieces of his administration, so I’m sure he’s delighted to tout these numbers. As we know, there’s more than one way to measure this statistic, but by either metric HISD is moving in the right direction. Ensuring that every kid can pass the exit exams and be ready for what comes after high school is the next step, but we can celebrate this first. Hair Balls has more. The House Public Ed committee gets an earful. Members of the House Public Education Committee on Tuesday questioned why the first batch of students who took the end-of-course exams scored so poorly. For example, 55 percent of ninth-graders met the minimum passing standard on the English writing test, and only 3 percent hit the college readiness standard that will be required in 2016. “Is it a function of the instrument? That’s one answer. Is it a function of student attainment? That’s a different answer,” said state Rep. Mark Strama, D-Austin. They got few answers. State education officials said there is not enough data to draw conclusions with only one administration of the test. Superintendents from across the state testified that the number of high school dropouts could skyrocket in the coming years because almost three-quarters of the students who failed the exams this spring were already considered at risk of dropping out. In order to graduate, high school students must achieve an average passing score in the four core subject areas: math, English, science and social studies. Students who have failed two or three exams might give up because they will lose hope that they can catch up, said Amarillo Superintendent Rod Schroder, who testified at the hearing. Manor Superintendent Andrew Kim, who also testified, said he supported the increased rigor of the end-of-course exams. But he said the state needs to help districts help students who struggled on the tougher test by allowing districts to start school earlier in the year and providing greater aid for students with limited English skills. Only 8 percent of the ninth-graders with limited English skills met the minimum standard on the writing test, even with some accommodations. Educators asked legislators to give those students an extra year to get up to speed and offer the tests in the student’s native language. Schroder drew applause from the audience when he called for eliminating a mandate that the end-of-course exam score count for 15 percent of a student’s final grade. The Trib has more on this. Any new system is going to have some bugs to work out, but the issues here are pretty fundamental. I get the desire for more rigor, but it really sends a message that the push for higher standards comes at the same time as a $5.4 billion cut to the budget. The students that will have the greatest difficulty with the STAAR or any other accountability measure are exactly those who have the greatest needs. Jay Aiyer takes a closer look at the test scores and what they mean. First and foremost, it is critical to understand what the test results actually say. If final standards scheduled to take effect in 2016 were used today, only 41 percent of students in biology, 39 percent in algebra 1, 40 percent in world geography, 46 percent in reading and 34 percent in writing would have passed. Based on this data, we can logically conclude that nearly 60 percent of high school students lack mastery of the tested subject at a level consistent with a student who is college-bound. If we analyze the data further, we see that students in affluent districts and students in admissions-based magnet programs far outperformed students in schools with large, economically disadvantaged populations. Unfortunately, this is consistent with a multiyear trend that strongly correlates family income with student performance. This is true in Texas, across the country and around the world. In fact, the Houston Independent School District, with a student population that is more than 80 percent economically disadvantaged, actually outperformed the state and many suburban districts, when the data are adjusted by income. It is also important to note that the nearly 60 percent passage rate roughly corresponds to the percentage of students currently enrolled in remedial education classes at two and four-year colleges in our state. 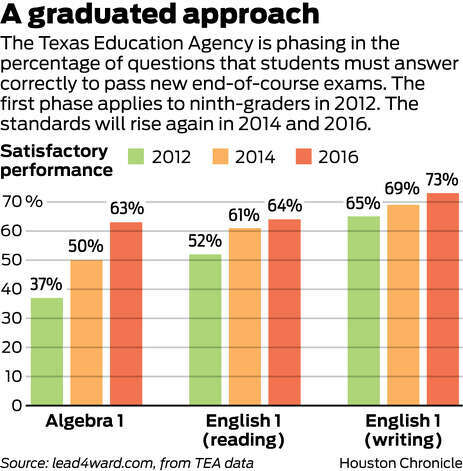 What STAAR results seem to have identified are students who are not on pace to graduate ready for college. If we recognize that STAAR is simply a reflection of the underlying problems in public education, much of which is caused by economic factors that are outside the schoolhouse, what do we do? Remediation can only do so much if you ignore the underlying issues, which is what we have always done and will keep doing, with even greater vigor these days. Meanwhile, the schools that are being told to do more with less now have to spend a bunch of money they don’t have on remediation. Don’t expect anything to be different next year. Whatever we think about standardized tests, we’ll need to do better than this. Thousands of Houston-area high school students failed the state’s new standardized exams and must retake them – or risk not graduating. In the Houston Independent School District, about 7,500 freshmen failed at least one of the end-of-course exams they took last spring. 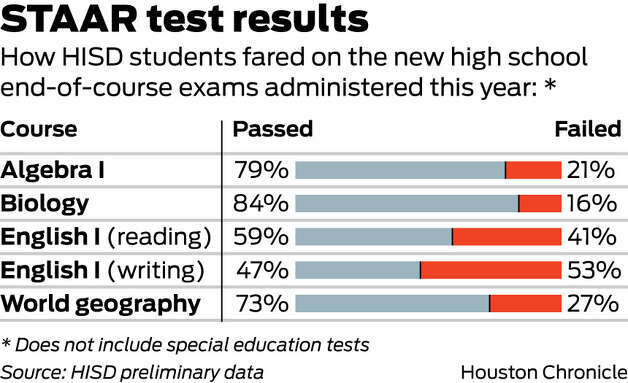 On the writing test, only 47 percent of HISD’s freshmen passed, early data show. Students can retake the exams as soon as July or later in high school. You have to expect some struggles early on, with the test being more stringent and the schools being under a lot more stress from the budget cuts. The pass rates outside of English are actually not too bad, though that’s surely skewed by the lower threshold for passing right now. I do believe the school districts will get their rates up, but in the meantime those who were worried about the effect these tests may ultimately have on graduation and dropout rates have reason to continue to be worried about it. The TEA, for its part, says the results statewide were about what they expected. “While we know there is always an adjustment period for students and teachers in a new testing program, results from the first STAAR assessments are encouraging overall, showing that students generally performed as expected or better and that educators focused intensely on the state curriculum,” Education Commissioner Robert Scott said in a news release. Bill Hammond, president and chief executive of the Texas Association of Business, which has advocated for accountability and higher standards in public education, called the results disappointing. “I think it’s safe to say we were all hoping for higher scores, but at least we know now how far we have to go to ensure we have college or career-ready graduates,” Hammond said. “It is a long road, but if we hold our schools and superintendents accountable for improving these results, I believe they will improve.” Hair Balls has more. Hammond, of course, won’t do anything useful to bring about those improved results we’d all like to see, but he does represent a lot of money, so he gets to be quoted in stories like these. According to one report, anyway. Texas’ graduation rate for high school students increased 1.9 percent since 2002 to just below the national average, according to a new report by a coalition of education groups. The report found that high school graduation rates rose from 73.5 percent to 75.4 percent between 2002 and 2009, and pulled almost even with the 2009 average nationwide of 75.5 percent. You can find the report here. It actually says that the nation’s graduation rate rose by 3.5 percentage points, from 72.0 to 75.5, during the 2002 to 2009 time period. Not sure why the news report got that wrong. Given that, despite the positive spin in the opening paragraphs, this actually means that Texas’ graduation rate fell below the national average during this time. As recently as 2010, the Texas Legislative Budget Board reported the state’s overall graduation rate ranked a dismal 43rd nationwide. Last month, though, the Texas Education Agency announced that a National Governor’s Association report put Texas’ graduation rate for the class of 2010 at 84.3 percent, or 10th highest among the 34 participating states who track student performance over their entire high school career. Yet another report by the National Center for Education Statistics found that the state’s 2008-2009 graduation rate was 75.4 percent, or 28th in the nation — findings similar to those in Monday’s report. “There’s lots of different ways to look at it and everybody’s got a different intention,” said Frances Deviney, Texas Kids Count director at the left-leaning Center for Public Policy Priorities. But she said other measures, including drop-out rates, have fallen in recent years, providing additional evidence more high schoolers statewide are graduating. “It is getting better,” Deviney said, though she worries that cuts in state funding for programs designed to keep students from leaving school early could eventually undo those gains. What happens going forward is the big question. Either the massive cuts to public education funding have a negative effect on the graduation rate or they don’t. I should note that even without the cuts, there are a lot of people who are concerned that the new STAAR test and the end of course exams now mandated for high school students would contribute to a higher dropout rate regardless. We know how things were going before 2011. It will be a few years before we really know what happened after 2011. What will we do if we find we’ve reversed course? It’s not looking as good as it should. • • Texas Hispanics not only make less money than Anglos, they make less money than Hispanics living in other states. The wage gap is broadest for Hispanics living on the border with Mexico, according to a report of Southwest Economy published by the Federal Reserve Bank of Dallas. • • Hispanics make up a third of the manual laborers in Texas. But U.S. Census statistics show that even in construction trades Hispanics account for less than a fifth of skilled labor, such as an electrician. • • In February, 34 percent of all Texans receiving unemployment payments from the Texas Workforce Commission were Hispanic. The payments are not available for undocumented workers. • • Texas native-born Hispanics have a higher high school dropout rate and a lower level of college attainment than those living in other states, Southwest Economy reported. The attrition rate among Hispanic high school students was 42 percent last year. • • Hispanic girls accounted for 62 percent of all births to teen mothers in 2006, the most recent year reported by the National Center for Health Statistics. It’s everybody’s future we’re talking about. What do we want to make of it? Are there a lot more home-schooled high school students, or are they just conveniently mislabeled dropouts? You decide. More than 22,620 Texas secondary students who stopped showing up for class in 2008 were excluded from the state’s dropout statistics because administrators said they were being home-schooled, according to Texas Education Agency figures. But that’s where the scrutiny of this growing population seems to end, leaving some experts convinced that schools are disguising thousands of middle and high school dropouts in this hands-off category. While home-schooling’s popularity has increased, the rate of growth concentrated in Texas’ high school population is off the chart: It’s nearly tripled in the last decade, including a 24 percent jump in a single year. Texas’ lax documentation and hands-off practices make it impossible to know how many of these students are actually being taught at home. It also opens the door to abuse of the designation, which could help school districts avoid the sanctions that come with high dropout rates, experts said. It’s not a particularly hard question. It’s also a reminder of the stark differences in how the two gubernatorial candidates view and approach the issue. We can’t get a handle on this problem until we understand the scope of it a lot better than we do right now. If Dr. Grier’s past track record is any indication of what is to be expected from the changes he is putting in place at HISD, then I must say there is reason for great concern. It is time for all of us to start thinking about what is in the best interest of our children. It is time to start looking for new effective leadership for HISD before it is too late. I remain conflicted about Dr. Grier, mostly because I hear such a wide range of opinions about him when I ask others what they think of him. I believe he’s correctly identified the highest priority problems within HISD, such as the dropout rate, and I believe he’s gotten us all focused on them in a way that perhaps we haven’t been before. I also believe he’s brought up subjects that need to be discussed but will always be difficult to talk about, such as poor-performing teachers. We can and should have a vigorous debate about the best ways to deal with these issues, and I’m glad that’s happening. But there are legitimate questions about how some of these things are being done, and about how HISD has engaged the stakeholders in these conversations, and there are legitimate questions about Dr. Grier’s track record that deserve more scrutiny, especially if we’re going to follow down a path that others have already taken. I’ve not had the chance to research the specific charges that Sen. Gallegos makes in his GHP letter, but I hope to be able to in the coming weeks. By all means, if anyone reading this has some insights on any of it, let me know, via email or comments. What it comes down to is this: The stakes are way too high to screw this up. Houston has a number of very good schools in it, and an unacceptable number of students who don’t make it all the way through them. Our population in the greater metropolitan area is relatively young and growing rapidly, and that’s a great opportunity to ensure its economic health and vitality for decades to come if we can successfully educate our children. We all basically know what to do to achieve this, we just have to do it. Some aspects of that are beyond the control of the school district, but we haven’t done a good job with those that are. I want Dr. Grier to succeed, in the sense that I want him to deliver on his promises to lower the dropout rate and improve performance across the board. If it becomes clear that he cannot, then we need to act sooner rather than later to correct that. It’s on the Trustees to hold Dr. Grier responsible, and it’s on all of us to hold the Trustees responsible. I’ve sent Sen. Gallegos’ letter to HISD to ask if there is an official response from Dr. Grier to it, but as yet I have not heard anything. If and when I do, I’ll let you know. What’s the truth? Both statements are technically correct — yet neither is exactly true, according to the most reliable dropout figures. Both lack context and ignoring other readily available data. Ultimately, however, White’s figure may be the closest to reality, as a Texas Tribune analysis of the many and conflicting dropout-counting methods showed last year before the candidates ever started fighting about it. Note the differences in their style. White presents facts, which you can see here, while Perry points and says “Look! It’s a monster under your bed! Run for your life!” Don’t expect anything different between now and November. The Trib piece concludes by saying that both Perry and White would likely agree that whatever the dropout rate is, it’s too high. Actually, I’m not sure Perry would agree to that, because if he did, he’d have to explain why after ten years on his watch it is that way. I’m going to say it again, and I’m going to keep saying it again because it’s Rick Perry and his buddies who own all of these problems: Why haven’t they done anything before now? Rick Perry has been Governor for all this time, and he’s had Republican majorities in both chambers since 2003. What has he done to improve the situation? When you look at it that way, you can see why Perry’s preferred approach is to change the subject. Forrest Wilder has more. Really interesting story from last week. The Alliance for Excellent Education in Washington, D.C., analyzed data from the nation’s 45 largest metropolitan areas to see how high school dropouts influence not only their own lives but also their community’s overall economic health. The alliance’s figures for schools in Dallas, Fort Worth, Arlington and 12 surrounding counties estimate that 32 percent of students in the Class of 2008 didn’t graduate in four years and with a regular diploma. The findings are higher than what districts typically report as their high school completion rates. The alliance used data reported by the districts, along with an index used to calculate graduation rates. The researchers estimated that 1,000 additional graduates could add $1.3 million to local and state tax proceeds each year. Seems to me this is the sort of thing that ought to get a higher profile. The Alliance for Excellent Education’s website is here, their profiles for all those big metro areas is here, and the report for Houston is here. Note that they’re referring to the ten-county metro area, so this is way bigger than just HISD, and the economic benefits that would be gained by achieving the goal of halving the dropout rate would be spread out quite a bit. Take a look at the report and see what you think. 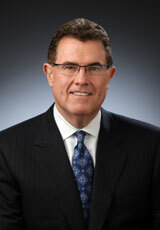 New HISD Superintendent Terry Grier hits the ground running. As his first major initiative as Houston ISD chief, Grier is launching a credit-recovery program similar to ones he headed up in San Diego and Greensboro, N.C.
Houston ISD’s new program will add so-called graduation coaches to each high school. Those teachers would oversee credit-recovery computer labs, where struggling students will spend part of their school day redoing classes they failed. “This will transform education,” Grier said, adding that he expects the new software in these labs to eventually be used for advanced classes, summer school, SAT preparation and Texas Assessment of Knowledge and Skills tutoring. Reducing the dropout rate is what Grier was hired to do. If he can do that, he’ll be a success here no matter what. I wish them all the best of luck with this. Q: What are your priorities for HISD? A: Houston is a good urban district. It has the potential to be the best large school district in the country. There’s no question the dropout rate is unacceptable, as is the graduation rate. Q: How will you improve the rates? A: Most anywhere I’ve worked you will see significant decreases in the dropout rate and significant increases in the graduation rate. Long-term strategies include making sure students are in school on a regular basis. Q: How do you get kids to show up at school? A: You hold principals accountable for attendance. You use your telephone messaging system, and when kids are absent, you contact parents. You make home visits. You may have attendance incentive programs. We did that in San Diego this past year and improved our student attendance by almost a half a percentage point. Q: What’s another strategy to curb dropouts? A: Last year in San Diego, we installed new state-of-the-art computer labs in all of our high schools, and the principals staffed those labs with what we call a graduation coach. We allowed students to use a computer program to retake courses they had failed. If Grier succeeds are reducing HISD’s dropout rate and improving its graduation rate, then I think his tenure here will be successful pretty much no matter what else happens. It would also save us a bunch of money in the long run. “It is essential that policymakers begin making this issue a priority in an attempt to reverse the current trends and their implications on the Texas economy,” the researchers wrote. I’ll resist the urge to make a crack about the “Bush School of Government” and note that I think State Sen. Shapiro is wrong. The solution to this problem is ultimately a much greater investment in children and families. Really making a dent in the dropout rate means making a much stronger effort to combat poverty, hunger, and poor health in children, all things we currently do a lousy job of here in Texas. And it’s not that we can’t do these things, it’s that we choose not to in this low tax, low service state of ours. But you’ll never get folks like Sen. Shapiro to admit that. Anyway. Given the political and economic realities that Superintendent Grier will face, I wish him the best of luck in lowering the dropout rate in HISD. I fear he’ll need it. According to one study, a little more than half of HISD’s high school freshmen ultimately graduate. Sanborn said HISD estimates it graduates as many as 77 percent of its students within four years. That number is based on faulty data that doesn’t count as dropouts students who claim they’re going to be home schooled, attend private school or move out of state or country. Karen Garza, HISD’s chief academic officer, said the district certainly sees dropouts as an important problem that they are working to address. She questioned whether the Children at Risk numbers fail to consider how mobile the population of this urban school district is by excluding students who may start here but graduated in Oklahoma or Mexico or anywhere outside of Texas. But, Garza said, HISD uses the formula prescribed by the TEA and she doesn’t see the Children at Risk calculation as being any more reliable. I don’t know which way of calculating the “true” graduation rate is superior. I’m not sure it matters that much – whichever method you choose, you can at least tell if it’s getting better or worse over time. The NCAA manages to keep track of graduation rates at its member institutions, so this can’t be rocket science. Pick a method and stick with it – let’s not lose the forest for the trees. Council Member and Mayoral candidate Peter Brown comments on the Children at Risk study. I’m still a bit amazed at how education has become an issue in this race, and I’m still not sure what role the Mayor should be playing in Houston’s public education; it’s not clear to me how much of a role the Mayor could play without legislative action, anyway. That said, I’m always glad to see public education be the topic of conversation, at least among people who care about its success. Maybe just by keeping the spotlight on it, we can have a positive effect.